Radula species have rounded, overlapping, bilobed leaves, with the smaller lobule folded underneath. This species has shoots up to about 3 mm wide, and leaves up to about 1.5 mm long and wide. 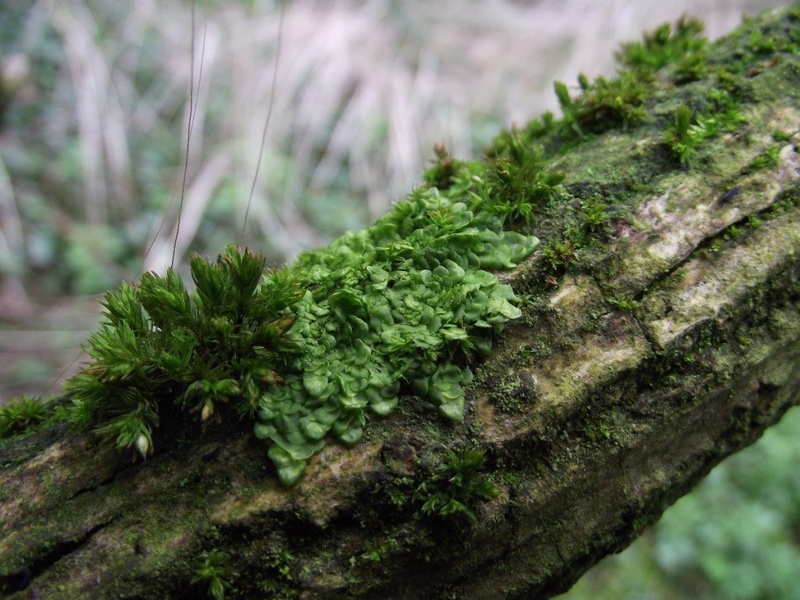 Plants are usually flattened, either forming patches or scattered stems creeping among mosses. 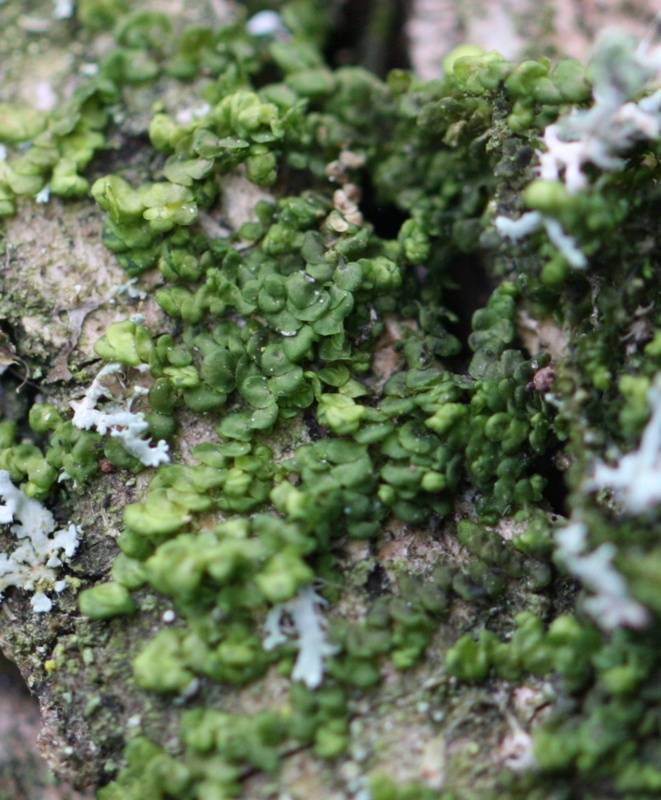 R. complanata is pale yellowish green, and up to 3 cm long. Rounded, sack-like male bracts can be seen with a hand lens on the same shoots as the long, flat perianths. Leaf margins often (but not always) have gemmae. R. complanata is by far the most common and widespread Radula species. R. complanata normally occurs on trees and shrubs anywhere except the highest mountains. It avoids deep shade, but likes sheltered, moist conditions. It also occurs on rocks by streams, lake margins and sea cliffs, when it is darker and usually non fertile.